In the 19th century, California was a young state. Though nurserymen flocked to the region, especially to the Sacramento and San Jose areas, they primarily cultivated garden produce, ornamental plants, and fruit—olive trees, fig, plum, citrus, and grapes. Roses, they imported. In 1873, Colonel James Warren, the first editor of California Farmer and a former Boston nursery owner, lamented that Californians were too dependent on imported roses and needed to develop their own. 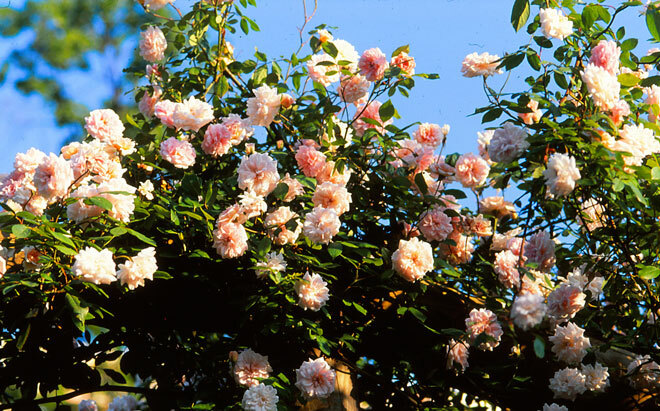 Warren may not have been aware that a San Francisco nurseryman, Harry Sonntag of Pacific Nursery, had produced several rose seedlings that he exhibited in 1858. Although the State Agricultural Society praised these roses for their rare beauty, we do not know what became of them. Not until about 35 years after the 1849 Gold Rush did Californians begin to breed and propagate their own roses. Even so, production was small. Between 1880 and 1900, only eleven new roses were introduced to the public. Of those eleven, four are still in commerce. Nurseryman Edward Cooper Gill (1840–1909), whose great love was roses, introduced ‘Sarah Isabella Gill’. Gill founded the E. Gill Nursery in 1866, and by 1889 he had purchased 104 acres southwest of Albany near Berkeley on San Pablo Avenue. Gill described the yellowish tea rose in his 1884 catalog as “Outer petals cream, tinted with pale carmine, fawn center.” Tea roses, like hybrid perpetual roses, are predecessors to hybrid teas. Still offered for sale in 1904, ‘Sarah Isabella Gill’ was California’s first commercial rose, and the state’s first tea rose. Undervalued for his role in the early California rose world, Gill was the first to successfully breed, propagate, and sell his own roses. 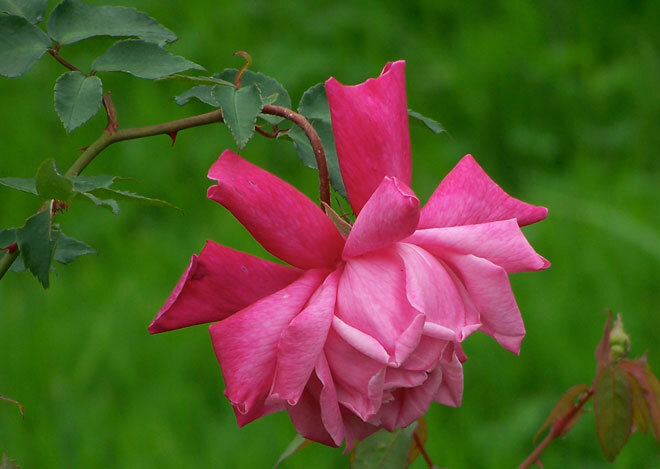 The 1889–90 Gill catalog lists around 300 rose varieties—his rose grounds in Edenvale (along the Monterey highway to San Jose) must have been enormous. He supplied nurseries statewide with his roses including Charles Abraham’s Western Nursery, California Rose Company, the Clarke Brothers, Thomas Cox, Howard & Smith, C.C. Morse, Charles Navlet, Stephen Nolan, George Roeding, Kate Sessions, Louis Stengel, John Turnbull, and others. Gill’s work with roses did not stop with ‘Sarah Isabella Gill’. 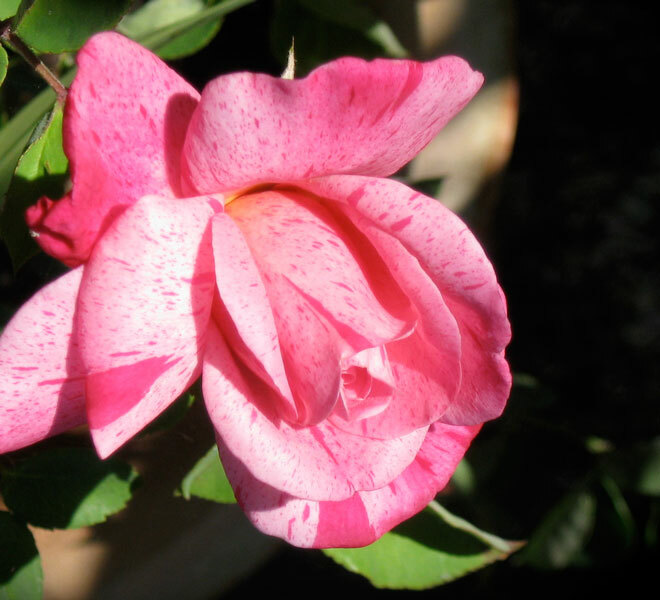 In 1889, he introduced California’s first hybrid perpetual rose, ‘Mrs. Cleveland’, named for the First Lady at the time. A short plant with rich, velvety red blooms, Gill extolled the new rose in his 1889–90 catalog, describing it as similar to the famous ‘General Jacqueminot’ rose “but of a more pronounced color.” The Gill nursery was still offering ‘Mrs. Cleveland’ in 1916, so it was available for at least a quarter of a century. Another rose introduced in 1889 competes for the title of California’s second cultivated rose. 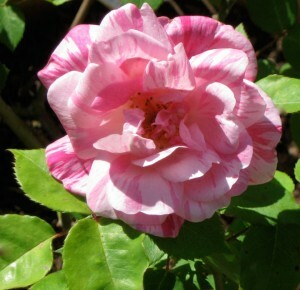 John H. Sievers, of Metropolitan Nursery in San Francisco, introduced a “clear pink striped with carmine pink and blush” tea rose developed from a sport of the rose ‘Papa Gontier’. He named the introduction ‘Rainbow’; it remains California’s oldest surviving cultivated rose. In the 1870s, John Sievers and Frederick A. Miller operated a commercial nursery on Post Street in San Francisco as well as Exotic Gardens and Conservatories, a public venue, on the 1700 block of Mission Street. When Miller opened his own nursery, Sievers begin to focus more on roses; his entries frequently won first prize and gold medals in floral competitions. His 1886 catalog listed what Sievers considered the best 25 rose varieties available, most of them hybrid perpetuals—all imported. His later catalogs include ‘Rainbow’. Sievers went on to produce ‘Improved Rainbow’, but apparently the improvement was not obvious, for after several years it vanished from the market. ‘Rainbow’, on the other hand, can still be purchased from five or six nurseries in the United States. It’s a treasure in my garden. Another California rose pioneer, Franz B. Hosp arrived from Germany and settled first in Ohio before moving to California in 1888. In 1890, he established a nursery and landscaping business in Riverside. On his own estate, Hosp grew many ‘Cecile Brunner’ polyantha roses. Hosp discovered an unusually long wand of flowers that had sported from one of his many shrubs, and introduced ‘Climbing Cecile Brunner’ to the public in 1894. Nearly thornless, with light pink flowers, this plant exhibits clusters of small, exquisitely shaped blossoms that exude a sweet scent. This form of the so-called Sweetheart Rose, one of the four surviving California roses from the 19th century, remains popular today. A long-lived rose, it will grow to gigantic heights. Four years later Hosp introduced another sport, ‘Climbing Papa Gontier’, but competing with three other such sports, it soon disappeared. The most prolific and most original of California nurserymen to develop new roses during these early years was Luther Burbank. Arriving from the East Coast, he bought four acres in the Santa Rosa area where he set up a nursery garden, a greenhouse, and an experimental farm. More interested in results than inprocess, Burbank did not keep careful records. The first rose he introduced, ‘Peach Blow’ in 1893, possibly a hybrid China rose, no longer exists. In 1895, he put ‘Palo Alto’ and ‘Berkeley’ on the market; these may have been hybrid tea roses. For a brief time they were sold by Sherwood Hall, the nursery of Timothy Hopkins who founded the town of Palo Alto. But the roses quickly faded from the marketplace. Undaunted, Burbank went on to produce another seven or eight roses and continued to describe each as the most remarkable, the most beautiful, and the healthiest. Despite Burbank’s superlative descriptions, his roses were probably not that good or they would have endured. The introduction date usually given for ‘Burbank’ is 1900. But the John Doyle Co. featured ‘Burbank’ on its catalog cover in 1899, and American Gardening magazine published a picture of the rose in the November 5, 1898, issue. Accordingly, the correct date for its entry into the rose world would be 1898. That conclusion, however, would contradict the sources that claim ‘Santa Rosa’ came first, in 1899. Scientific recordkeeping would have resolved the confusion. Today, both ‘Santa Rosa’ and ‘Burbank’ appear alike. Have they become confused over the years? Has one of them vanished and the other survived? If so, which is which? Surely, they were not the same rose to begin with, one sent out a year after the other but under a different name. Such a practice was not uncommon, but surely the man who gave us the ‘Russet’ potato, the ‘Shasta’ daisy, the ‘July Elberta’ peach, and the ‘Santa Rosa’ plum—to name just a few great hybrids—had no need to stoop to subterfuge. After all, he did give us roses, not least a lovely white rambler early in the next century. The 20th century put California on the rose map thanks to innovative breeders like Fred Howard, Father George Schoener, and Captain George Thomas. But that’s another story. In the meantime, Californians can claim to be home to four roses over a hundred years old, some of them still growing in our gardens.